It's time to get the kids excited about Monster Trucks again!! 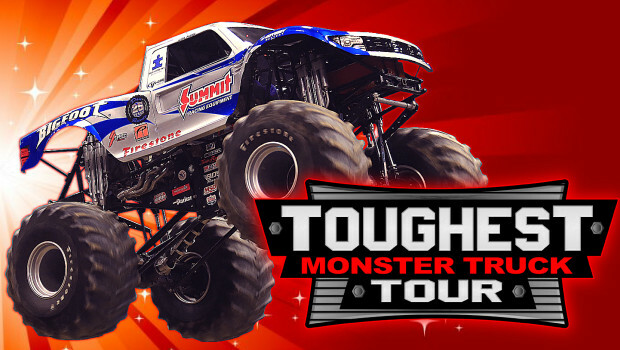 Yep that is right The Toughest Monster Truck Tour is back for another fun and exciting year! The Toughest Monster Truck Tour brings only the best and baddest monster trucks in the nation to compete in 3 competitions each night. Only one truck can be the Toughest! In addition to the trucks you might see high flying Freestyle Motocross riders, a giant fir-breathing mechanical dinosaur, ATV/quad racing, tough trucks or a 2,000 hp jet powered ATV!